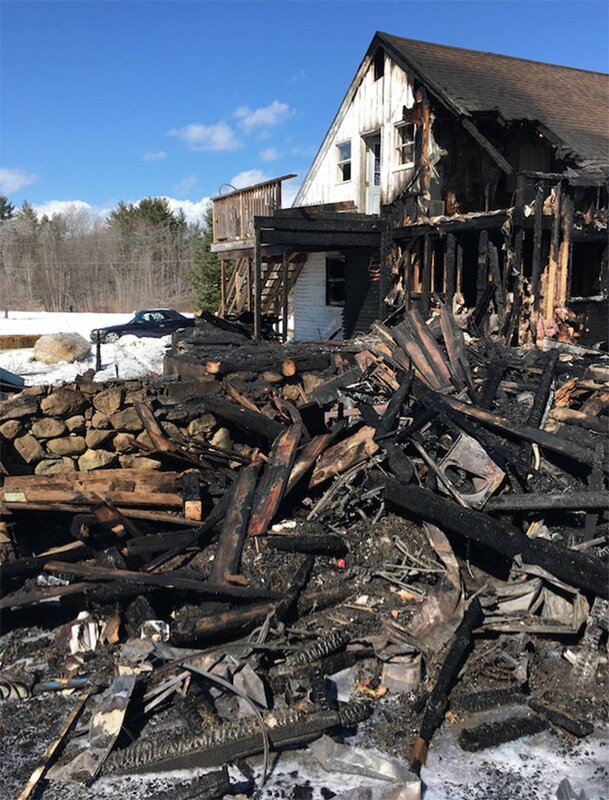 The Sunday afternoon fire was fought by 10 crews from towns in Maine and New Hampshire. Investigators say juveniles playing with matches started the fire that destroyed an Acton house and displaced 11 people Sunday afternoon. The fire was reported at 12:42 p.m. at 1242 Foxes Ridge Road. A two-story barn was fully engulfed in flames when first responders arrived and the fire had spread to the attached two-story farmhouse. The barn was a total loss and the house was deemed uninhabitable. The house contained three separate living units. The town of Acton and the American Red Cross assisted the 11 fire victims, according to the York County Sheriff’s Office. Sheriff William King said the fire appears to have been set by juveniles playing with matches and there was “no malicious intent to start the fire.” The juveniles have been referred to a program that works with children who have a propensity for playing with matches or setting fires, he said. King said he could not provide information about the number of juveniles or their ages because it would identify them. There were only a few children living in the home, he said. Firefighters from Acton, Shapleigh, Newfield, Sanford, Lebanon, Wells and North Berwick responded to the fire. New Hampshire firefighters from Milton, Wakefield and Rochester also responded. The State Fire Marshal’s Office and York County Sheriff’s Office continue to investigate the fire.